Winthrop Square Tower is a centrally located iconic tower in Boston, designed to the highest level of sustainability standards. The site is the currently defunct Winthrop Square Garage in the Financial District. 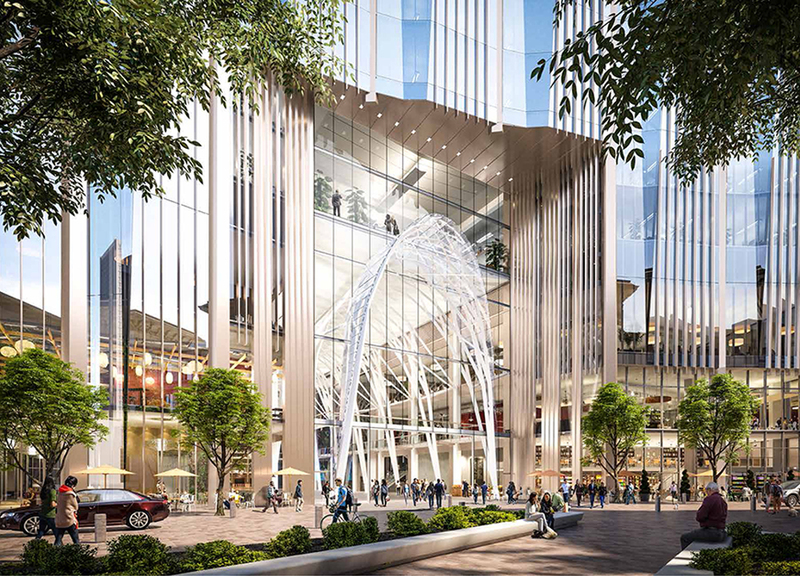 The development of the garage site into a vibrant mixed-use building will be a dynamic presence on the skyline and a super-charged engine for the Financial District, creating 24-hour-a-day vitality for the public realm. On the ground level, the 12,750 square feet “Great Hall” will be an active, energetic urban room that will bring the best of retail and restaurants to one central location, a true Bostonian interior emporium, with an ever-changing calendar of visual art, performance art, marketplace and social events. 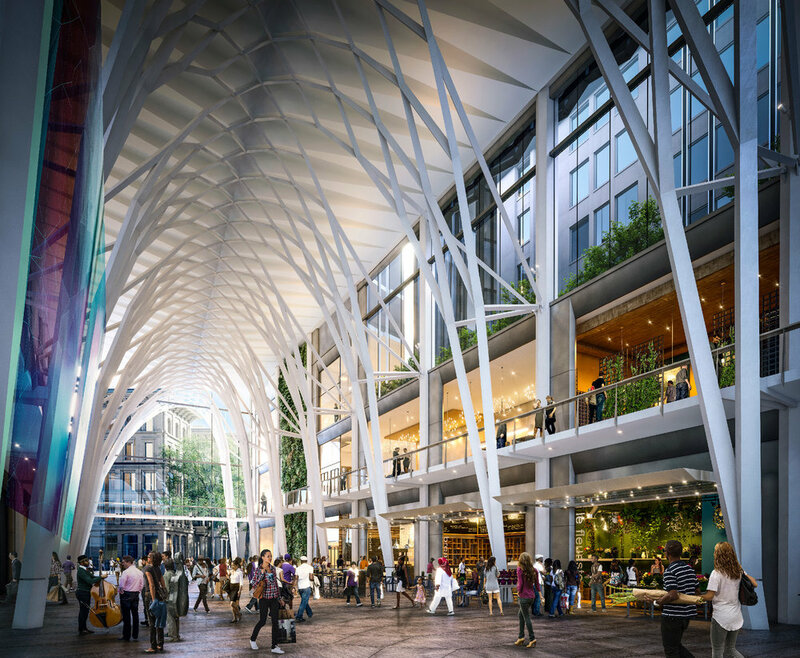 The activity will spill out into the adjacent Winthrop Square, transforming this “classical” 19th century plaza into a vibrant contemporary public square to be shared by all of Boston.